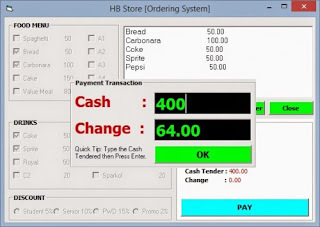 This is a simple ordering system demonstration that process the payment and selection of items with a feature of printing of receipt using the notepad. You can gain additional knowledge with this program. Enjoy!